It's a chilly Friday morning at the inlet at 55 degrees, with the wind chill it feels like 50. Winds are high, blowing out of the West-Northwest at 18 mph, gusting to 23 and the water is choppy. Seas are running 8 - 11' with a wave interval of 9 seconds today and NOAA has a small craft advisory through late this evening. Winds will start to diminish this afternoon but be sure to check the NOAA forecast prior to boating over the weekend. The cold front dropped the water temperature but not many anglers are out fishing in the less-than-desirable conditions. Find yourself a sheltered spot along the shoreline today for Pompano, Reds, Black Drum and Trout action. Our photos today are courtesy of Khoi Van. Khoi fished the north jetty with friends on Christmas Day and they had great luck. The men landed several nice sized Black Drum, C/R Snook and a couple of Cubera Snapper, sweet catches gentlemen! Photo one features Khoi Van with a 28" Cubera Snapper and Rashon Hogan with a 21" Snapper. Photo two features Khoi Van with a C/R Snook and our last photo is of the men with their catches of the day. Inshore: Catch and release snook fishing has been good at the jetty on jigs. Some trout and redfish are being caught around the docks to the south on shrimp and corks. We have a gorgeous morning at the inlet. Winds are blowing out of the South-Southwest at 3 mph, gusting to 7 and the water is calm. Winds and waves will start to build this afternoon ahead of a cold front that will move in tonight. Small craft should exercise caution this afternoon and NOAA has issued a small craft advisory from 10:00 p.m. tonight through 10:00 p.m. Friday night. Seas should subside Saturday and Sunday. Black Drum, Sheepshead, Blues, Flounder, Jacks, Reds and Trout have been hitting sporadically at the inlet; it's just been a matter of timing. Try fishing a few hours before or after the tide change before the velocity picks up for a better chance of landing something. We have had outstanding weather and great conditions this week and there are a lot of anglers out there enjoying Mother Nature. Get out and wet a line! Our photos today are courtesy of Luke Vila of Kissimmee. Luke and Ed Franceski fished the shorelin and landed quite a few fish on live shrimp including Trout, Jacks and Reds. The men are strictly catch and release anglers, all fish were returned to the water. Our first photo features Ed Franceski with a nice Speckled Trout, photo two is of Luke Vila with a small Red and our last photo is of Ed with a good sized Jack Crevalle. We have variable light winds this morning which will remain so through Thursday mid-day. A cold front will make its way down the coast Thursday night which will create poor to hazardous boating conditions for small craft through Friday. Conditions are predicted to calm down Saturday and Sunday which may give our boaters a chance to get off the dock. Always check the NOAA forecast prior to boating. Black Drum remain the most active species at the inlet. 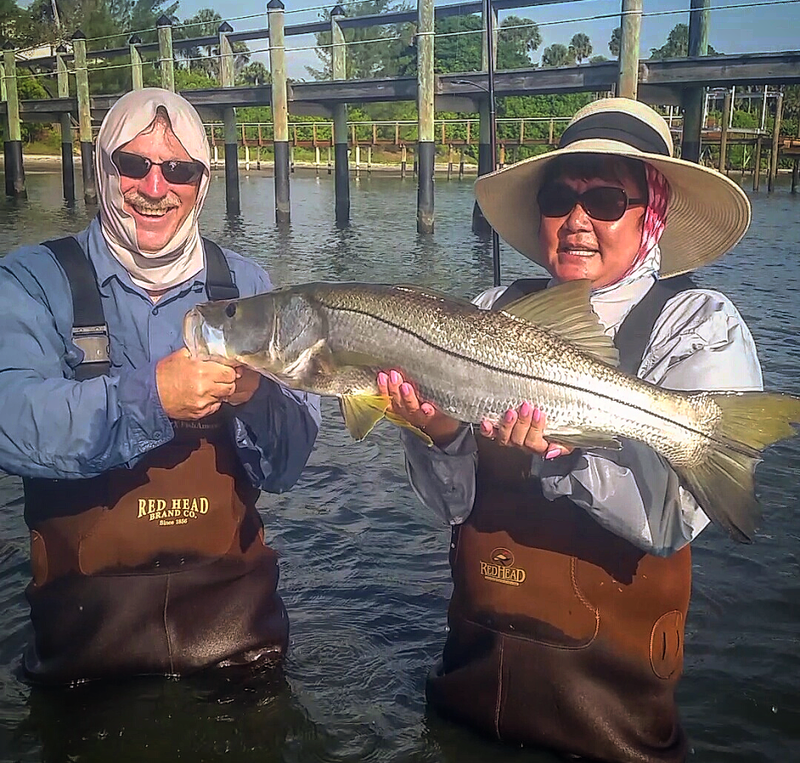 Catch and release Snook are still active but it's best not to target them during the off season. 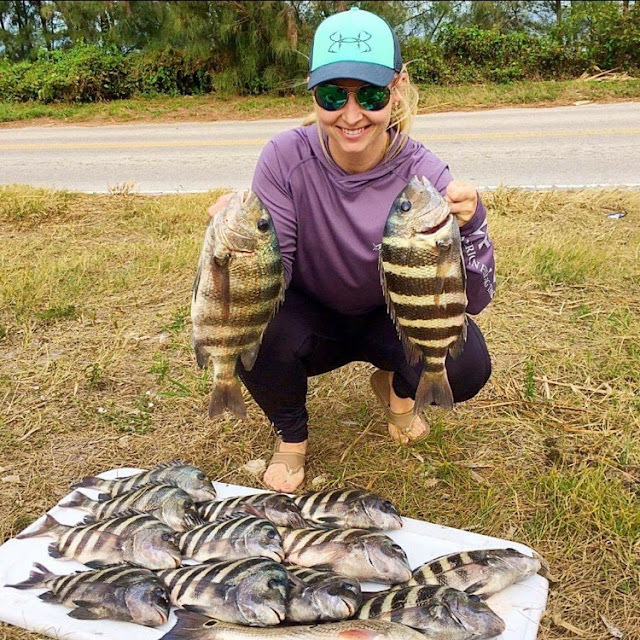 The Flounder bite has been sporadic, Sheepshead are hitting any type of crustacean, try small crabs, live shrimp, clams or sand fleas if you can find them. Their diet is what makes them some of the tastiest fish out there. We have great conditions today for surf fishing, get out and enjoy it before it gets rough tomorrow! Our photo today is courtesy of Randy Wickens. Randy made it down to the inlet with his brother-in-law Tom Lasko who was visiting from Bangor, Maine. Randy got skunked but Tom managed to land two Flounder. Randy reported a very windy day but in spite of it, there were still a lot of anglers. The men were using mullet, fishing from the south jetty and saw one juvenile C/R Snook and a few catfish but other than that, it was quiet. As 2016 comes to a close, I would like to thank everyone for reading my reports for the past 15 years. It's been fun and I certainly enjoy doing them. I have met many old friends again this past year and made many new ones as well. Here's hoping that 2017 will be a bountiful year for everyone and the fishing continues to reward anglers throughout the Treasure Coast. I am truly blessed with the people around me in so many capacities. Thank you all! Eva and I wish everyone a blessed Holiday Season this year. The weather this week has been fantastic! Warmer temperatures and sunny skies make for a wonderful adventure on the water! Winds have been a challenge most days, but there is always somewhere you can fish. Enjoy this weather...it could change soon! It's been a fun week on the water. Fishing has been very good out there and it should continue this way with the mild water temps. Docks, mangroves, grass flats and channel edges have all been productive for us. I love this time of year! A large variety of species are out there to keep your rods bending. Trout on the grass flats. Redfish under the docks and mangroves. Sheepshead and black drum around structure. Mackerel feeding on the beaches and inlets. Jacks and ladyfish....everywhere! It's a great time of year! Inshore the trout bite has been good to the south with a few reds mixed in around Bear point soft baits on the out going tide have produced the best. The jetty has had a few snook at night with a few flounder and pompano during the day. We have East-Southeasterly winds this morning at 8 mph which will remain light and variable through Thursday mid-day. A cold front will make its way down the coast Thursday night which will create poor to hazardous boating conditions for small craft through the weekend. Black Drum have been the most active species at the inlet, one of our favorite winter species along with Sheepshead, Flounder and Blues. Try using dead, stinky shrimp for the Black Drum and any type of crustacean for Sheepshead. Live shrimp bounced off the bottom work well for the Flounder and Blues will take just about anything, including spoons. Some catch and release Snook were landed over the weekend. Our angler of the day is Jim Borruso of Hilton Head, SC who landed his first Sheepshead off the T-Dock using live shrimp. INSHORE: Catch and release snook fishing is still pretty good. The docklights are starting to produce good numbers of small snook, and an occasional tarpon. Small flashy white jigs and live shrimp are good bait choices. 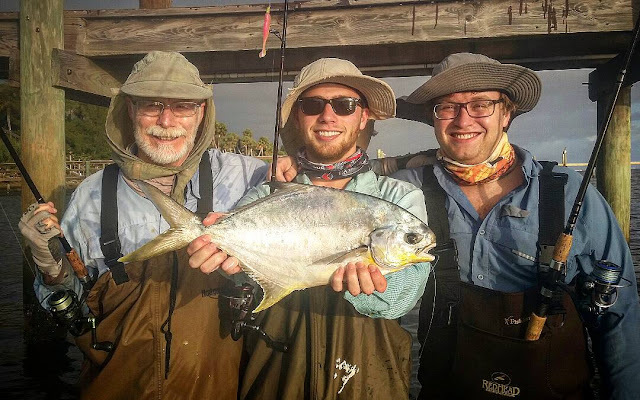 The flats around Munyon Island and Hobe Sound continue to come alive with a variety of species. Early morning will be best for the snook, trout, and occasional redfish; while higher light is fine for catching jacks and ladyfish. Starting to hear some reports of pompano inshore as well. SURF/PIER: A little slower week on the beach, but still a fair number of fish around. Bluefish action remains pretty solid off Hobe South. Pompano reports continue to come in, but for the most part not in big numbers. 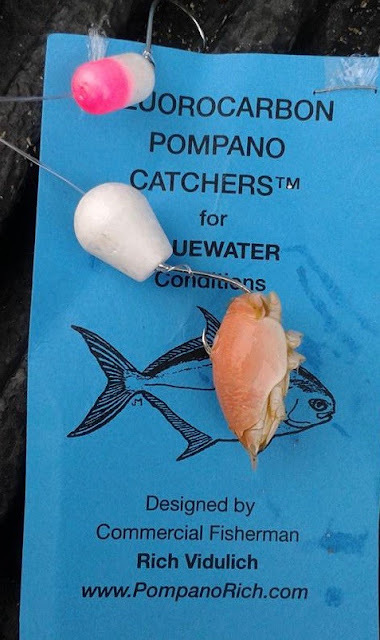 Sandfleas and clam remain the bait of choice for the pompano. Just be prepared to reel them in quick as the sharks are not far behind! Spanish mackerel action remains fair up and down the beach, and good numbers of macs are filling into Peck's Lake as well. Plenty of sharks along the beach. Fair numbers of jacks around Palm Beach and Jupiter Inlet. Along the beaches in Jensen, pompano, bluefish and Spanish mackerel have been hitting on Fish Bites. In the Indian River, the big king tides of the last few months really pushed a lot of good clean water in and the trout, bonefish, jacks, ladyfish, pompano and snook fishing has been good using small jigs and hair jigs. Be advised that snook season is closed. In the Jupiter area, fishing for Spanish mackerel, bluefish and ladyfish has been good along the beaches near the pier and north of Blowing Rocks using 1.5 ounce spoons. The Loxahatchee River and Intracoastal Waterway have been excellent for snook, jacks, trout, redfish, black drum and croakers using live shrimp with a jig. In the central and south areas of Palm Beach County, permit and pompano have running along the beach from Sloan’s Curve south to Delray Beach. They have been hitting on sand fleas, goofy jigs and sand flea flies. The water level has been good and fish are moving off the main lake toward the spawning areas. Though artificial lure bites are a bit slow, live bait fishing has been excellent. Crappie are also beginning to bite. The north jetty is now open approximately 75%. If you like fishing on the north jetty, treat it and others with respect. Boaters: please maintain a reasonable distance from the jetty to avoid tangling lines with the shore-based anglers. Conditions are a little calmer today, winds are blowing out of the West at 7 mph, gusting to 12 and there is a light to moderate chop on the water. Unfortunately, it won't last long. NOAA is calling for poor to hazardous conditions offshore. The poor boating conditions are predicted to continue as another period of increasing winds and building seas is predicted into the weekend. Flounder are hitting live shrimp, mostly west of the bridge. The bite has been sporadic but Black Drum remain the targeted species from the north jetty. Try using dead shrimp, clams or a combo of both for the Black Drum but please throw your clam shells into the water if you are using fresh clams. If the shells keep piling up, the jetty will have to be closed for cleaning. We're seeing Sheepshead, Spanish Mackerel and Pompano come and go. Get out and enjoy the beautiful weather! 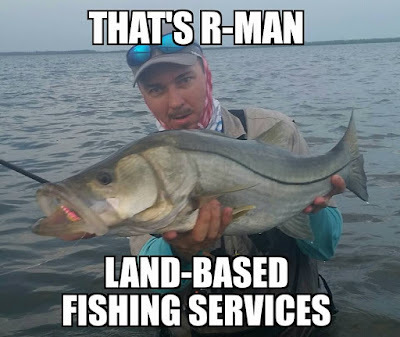 From now until December 24th,Dthat's R-man land-based fishing services will be offering his holiday gift certificate. 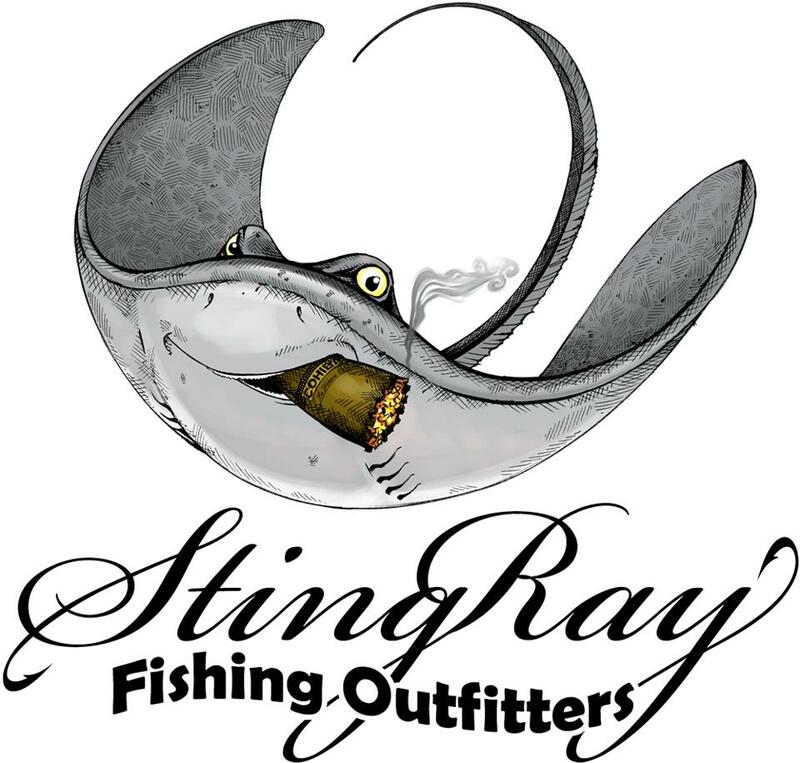 The gift certificate is for 2 Anglers to go on 1 fishing trip for the cost of $100. My normal rates are $100 a person. I give you 4 different location options. Wade fishing, Beach fishing, Bridge Fishing or Jetty fishing. I Supply everything for you and your guest for all of the different locations. If you are interested in this gift certificate don't wait because there are limited amounts of gift certificates being issued. Contact me at 772-530-8080 or email me at thatsrman4677@gmail.com for any further details. Have a great holiday and good luck on the water ! SNOOK SEASON IS CLOSED UNTIL FEBRUARY 1ST. The north jetty is now open approximately 75%. If you like fishing on the north jetty, treat it and others with respect. DO NOT throw objects at boaters; no excuses. Boaters: please maintain a reasonable distance from the jetty to avoid tangling lines with the shore-based anglers. We have an overcast, windy morning at the inlet. Winds are blowing out of the Northwest at 23 mph, gusting to 27 and the water has a moderate chop. Boating conditions will deteriorate throughout the day. Conditions will improve a little on Thursday but seas will begin to build and winds will increase in the evening. Boating conditions will be rough again for the weekend. NOAA has a small craft advisory in effect through Wednesday evening. Always check the NOAA forecast prior to boating as conditions can change very quickly. Black Drum, Jacks, Flounder, Spanish Mackerel, Sheepshead, Blues, Pompano and quite a few Trout are being landed all over the State Park. Quite a few Snook were landed during the season; it was one of the best we've seen in a long time. The Snook bite has fallen off but there are still some catch and release fish hanging around. Pat Currie of Schenectady, NY is featured in our first photo today. Pat landed his Black Drum and reported quite a few Black Drum in the 24" range came over the rails in the late afternoon, after the morning bite slowed down. Our second photo today features Bonnie Currie of Scotia, NY. Bonnie was fishing the north jetty when she landed her first fish, EVER. Inshore there has been a few flounder and pompano around the inlet on the incoming tide with a few snook mixed in to live bait has produced well. The trout fishing has been good around midway road with soft baits around first light. We have a foggy morning at the inlet. Winds are blowing out of the Northwest at 14 mph, gusting to 18 and the water has a moderate chop. Boating conditions will deteriorate throughout the day today into Wednesday. Conditions will improve a little on Thursday but seas will begin to build and winds will increase in the evening. Boating conditions will be rough again for the weekend. NOAA has a small craft advisory in effect through Wednesday morning. Always check the NOAA forecast prior to boating as conditions can change very quickly. 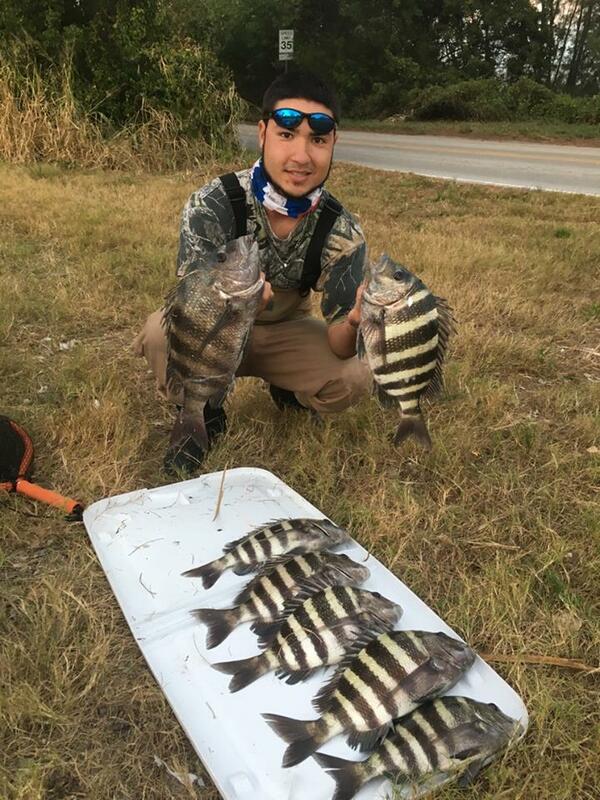 We're seeing the Black Drum bite continue for our jetty anglers. Anglers using dead shrimp and fresh clams are having the best luck. The clams will also attract Sheepshead along with live shrimp or small crabs. Sheepshead go for crustaceans and sand fleas are great if you can find them. Spanish Mackerel are zipping around intermittently. Pompano are running as are Trout. Get out and enjoy the day! Our angler of the day is Andrew Foreman. Andrew reeled the Black Drum in by hand after the line was cut! Overall, a good, fun fight! Now that Snook season is over for a while, the north jetty has cleared out quite a bit. The Flounder bite has turned up and quite a few nice fish are being landed, mostly from the shoreline or boats west of the bridge. Black Drum and Sheepshead have been hitting clams and shrimp sporadically. Yesterday we saw a couple of schools of Spanish Mackerel, Pompano and Blues. Our photo today features Dylan Anderson and Jason Blackstone. The young men were drift fishing with Dylan's father and his friend when they all landed a slot Snook. Three were 32" and one was 31". Nice catches! Don't miss it this Saturday! Inshore the snook fishing has been good up by the mangroves still and around the bridges and inlets. 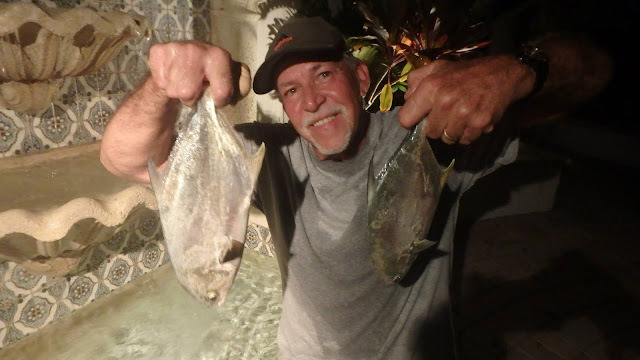 The flounder bite has been good on the jetty with a few pompano mixed in on the incoming tide there has been a good bite of bluefish and Spanish mackerel mixed in to. Cooler weather is on the way to anglers on the Treasure Coast. Weekly cold fronts will be arriving now and that means the water temperatures will continue to drop. Lots of migratory fish are arriving for the winter and anglers will be out to catch them. Work your lures slowly as the fish become lethargic and won't move quickly to bite. They still have to eat, but using the slow approach will increase your chances at getting a hook up. Enjoy the cooler weather and get out fishing! The best bite has been sheepshead and croakers lately. There are nice flounder in the river now. The north jetty is now open approximately 75%. The north jetty is open 24/7 again; please help us maintain this wonderful resource. If you like fishing on the north jetty, treat it and others with respect. DO NOT throw objects at boaters; NO EXCUSES. Boaters: please maintain a reasonable distance from the jetty to avoid tangling lines with the shore-based anglers. We have a lovely morning at the inlet. Currently winds are blowing out of the North-Northwest at 3 mph, gusting to 5 and the water is calm. Winds will be light and variable through the day today but a low pressure system that will move through late Wednesday and Thursday will create poor boating conditions later this week. The bite has diminished over the past few days. The blown out conditions over the weekend didn't help matters. We're still seeing Black Drum; a lot of those are undersized and must be returned to the water. Black Drum must be between 14" - 24" with a bag limit of 5 per person per day. An angler may possess one that is over 24". Black Drum are scent feeders and go for clams, cut bait and dead, stinky shrimp. The smellier, the better! We're seeing Jacks, Catfish, Ladyfish and Blues. The Snook and Red bite has dwindled as well. Pompano and Mackerel are hitting off and on. We are hoping that the coming front will help invigorate the bite. Our photos today are courtesy of Luke Vila of Kissimmee. Luke and his friend Ed fished the inlet shoreline Monday night and landed five Black Drum and a Red. All fish were released unharmed. Photo one is of Ed with his first Black Drum. Photo two is of Luke with an undersized Red and photo three is of Luke with a small Black Drum. The north jetty is now open approximately 75%. The north jetty is open 24/7 again; please help us maintain this wonderful resource. If you like fishing on the north jetty, treat it and others with respect. DO NOT throw objects at boaters; NO EXCUSES. Boaters: please maintain a reasonable distance from the jetty to avoid tangling lines with the jetty anglers. The weekend was pretty blown out for fishing according to Tommy Turowski at the Sebastian Inlet Bait and Tackle Shop. We didn't have a lot of people out fishing in the high winds. The variety of species is good this time of year if the weather cooperates. Black Drum, Sheepshead, Blues, Flounder, Pompano, Spanish Mackerel, Reds and Trout are some of the targeted fish this time of year. We still have two days before Snook season closes. The season closes December 15 through January 31st. Snook are strictly catch and release during that time. 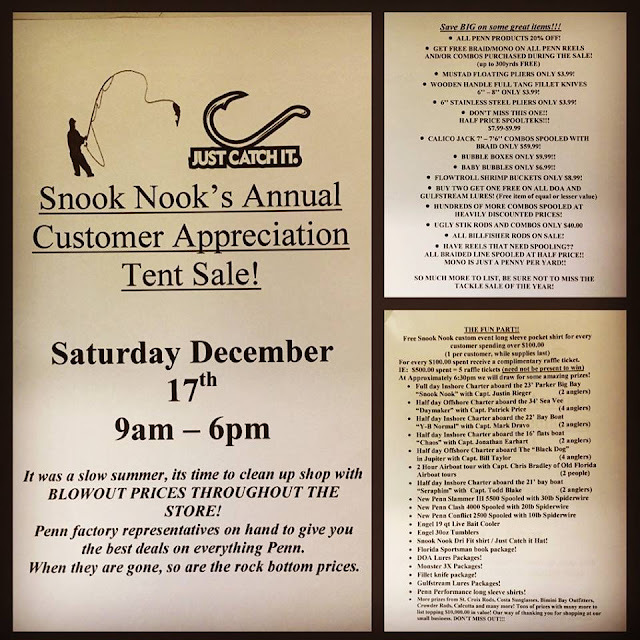 We've had an excellent season; the Snook fishery has rebounded nicely since the 2011 fish kill. Get out and enjoy the gorgeous day! Our photos today are courtesy of Robert Pumarada of Orlando. Robert fished the north jetty and reported a lot of Black Drum hitting shrimp. Robert landed a big 44" bull Red that made his heart pump and his biceps scream. He also landed the Black Drum and slot Red in photo one. It sounds like a wonderful day at the inlet. Photo two features Robert Pumarada and Mr. Marcelino of the Philippines. The two men met on the north jetty and had a fun time fishing together. Robert holds a 17" Trout that made a delicious dinner and Mr. Marcelino has a Jack. INSHORE- Snook season is winding down, better get after them now! Look for the bridges to produce at night on the outgoing tide. Flair Hawk Jigs and large swimbaits remain great lure choices for the snook, while a live shrimp is also hard to beat. Been a few redfish around inshore; not a huge number of them, but it's nice to hear of a few around. Sea trout reports were trickling in, but seem to have really slowed down. SURF/PIER- The Juno Beach Pier has been catching a few kingfish this week. A trolley rigged sardine or X-Rap seems to be working on the kings. Spanish Mackerel are scattered along the beach, and also starting to fill into Peck's Lake in fair numbers. 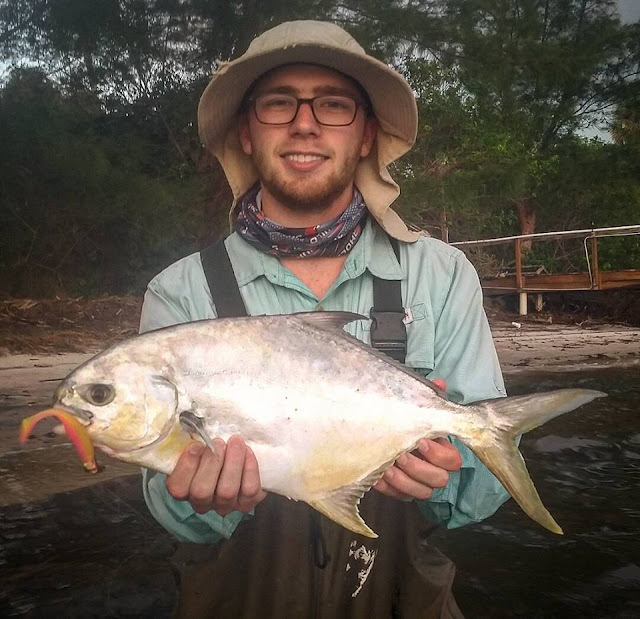 Pompano action was a bit slow this week, with reports to the north being better for the pompano. 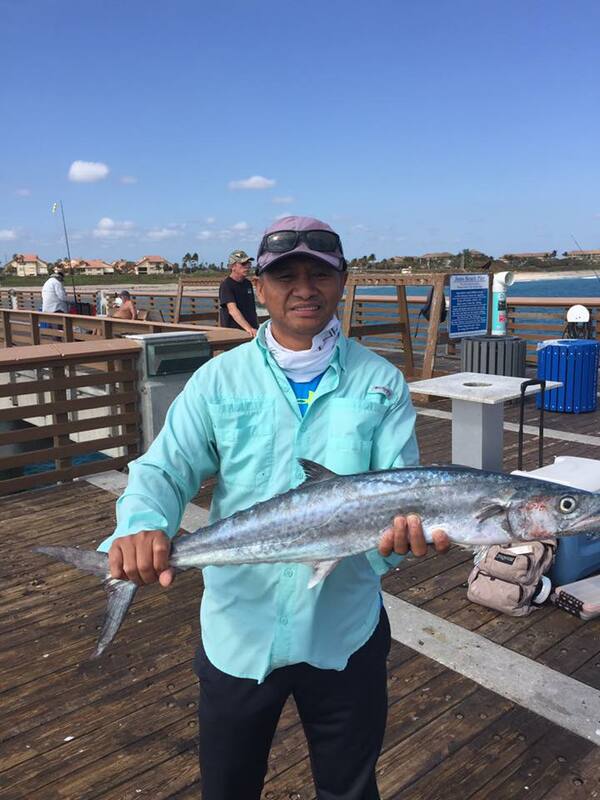 Bluefish action has finally started to improve, with soem good catches coming out of Hobe Sound. 12-09-16 FRIDAY: FISH ARE BITING! We have a cool, windy morning but we have anglers on the jetty trying their luck. Winds are blowing out of the Northwest at 18 mph, gusting to 28 and the water is choppy around the inlet and on the ICW. NOAA has extended the small craft advisory through late Saturday afternoon. Our boaters may want to stay on the dock this weekend, conditions do not look promising. We have a good chance of showers today; dress accordingly if you head to the inlet. Snook, Reds, Black Drum, Sheepshead, Spanish Mackerel and Flounder are all biting at the inlet. The variety of species this time of year is always good and fishing the inlet is great if conditions permit. Always check the NOAA forecast prior to boating. Our photos today are courtesy of Rafael Cales of Grant. Rafael sent in our first photo of his 10 year old daughter Bella with a Bonnethead Shark she landed off their dock. Bella also caught the crab she used for bait! She landed multiple Black Drum as well, all were released unharmed. Park Info: Surf Fishing Workshop tomorrow December 10, 2016 from 1:00 - 3:15 pm. 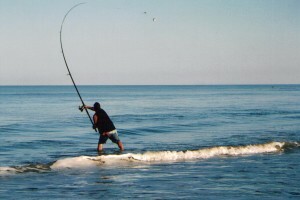 This class is designed to introduce anglers to the basics of surf fishing. Meet at the Sebastian Inlet Fishing Museum on the south side of the Park. Call 772-388-2750 for more information. The north jetty is now open approximately 75%. The north jetty is open 24/7 again; please help us maintain this wonderful resource. If you like fishing on the north jetty, treat it and others with respect. DO NOT throw objects at boaters; the jetties were built for navigation, boaters underway have the right of way. We have Northwest winds blowing at 14 mph, gusting to 17 and the water is choppy. Hazardous boating conditions will follow the cold front and will go through the weekend. NOAA has a small craft advisory in effect through 11:00 A.M. Saturday. Tommy Turowski at the Sebastian Inlet Bait and Tackle Shop reports that the Pompano were hitting well in the surf yesterday, taking clams. Blues were also active. Surf fishing will have to wait until next week; the cold front is going to blow out those chances for a few days, unless you don't mind being wet and cold! The cold front can be a good thing too; we could see more Flounder making their way in and out of the inlet. 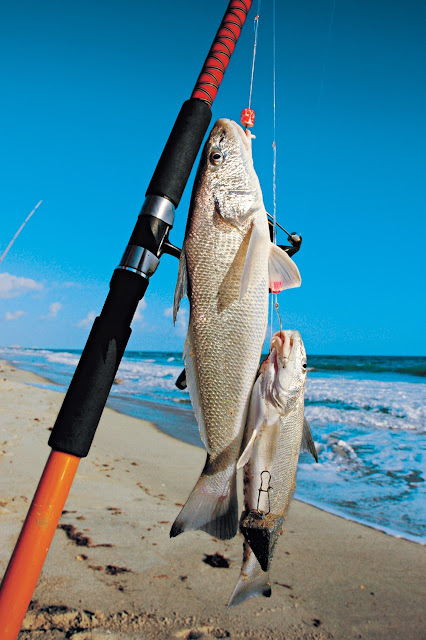 Black Drum have been biting consistently along with Sheepshead, Reds, Snook and Jacks. Ron McNeil makes the drive all the way from Sanford to fish the inlet, getting up at 3:00 a.m. to start his journey. 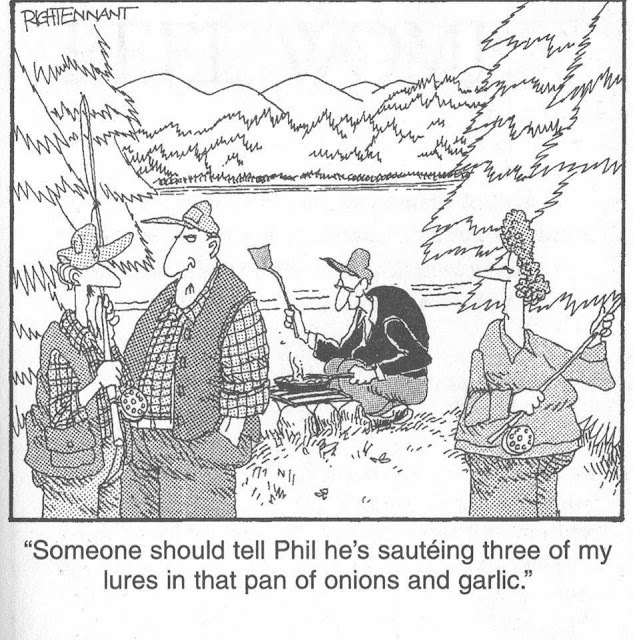 He's fished several times in the past two weeks and has had good luck with Flounder. Our first photo is of Ron with a nice string of flatties. Our second photo today features Andrew Sampson of Melbourne. Andrew landed his 19" Flounder from the north side bank early in the morning. He then decided to kayak fish and had no success. His Flounder yielded some pretty nice filets. 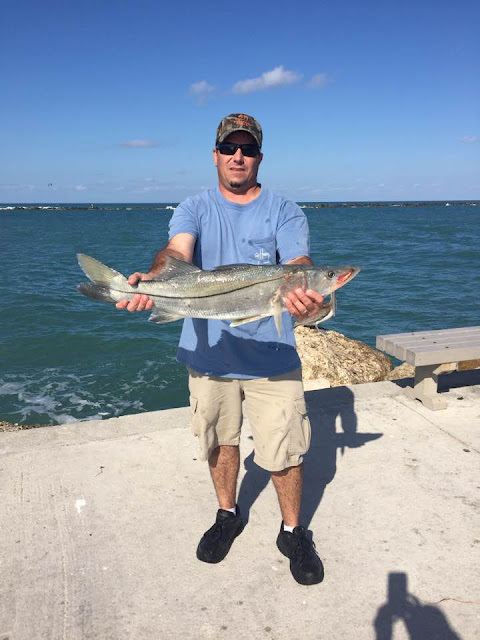 We received an update from Charlie Achinelli of Melbourne who fished the beach yesterday. The conditions were excellent for surf fishing and Charlie reported a very good Speckled Trout bite. He landed a 22" Trout on a gotcha lure, in photo three. Park Info: Surf Fishing Workshop Saturday December 10, 2016 from 1:00 - 3:15 pm. This class is designed to introduce anglers to the basics of surf fishing. Meet at the Sebastian Inlet Fishing Museum on the south side of the Park. Call 772-388-2750 for more information. 12-07-16 WEDNESDAY: FISHING IS GOOD! The north jetty is now open approximately 75%. The north jetty is open 24/7 again; please help us maintain this wonderful resource. If you like fishing on the north jetty, treat it and others with respect. DO NOT throw objects at boaters; NO EXCUSES. The western gate is a permanent fixture and can be closed at any time; it will be up the users of the jetty. Winds are blowing out of the Southwest at 2 mph, gusting to 6 and there is a light chop on the water. We have a beautiful day and it looks like a good day to get out and do a little surf fishing. Sunshine is predicted all day but we will have variable winds and they will increase a little in the afternoon hours. Snook are still being landed by our inlet anglers, this late in the season. The season will close December 15th through January 31st, they will be strictly catch and release during this time. Black Drum have been active along with some big Jacks, Sheepshead, Blues, Flounder, Pompano, Spanish Mackerel and Trout. Live shrimp seem to be the most effective live bait and some anglers are using plugs, gotcha lures and swimming plugs for artificials. We have a "cold front" predicted for tomorrow night and perhaps that will stimulate the bite even more. Inshore the snook bite has been ok with a few nice fish around the bridges and jetty. The trout fishing has been good around Bear point to Middle cove with a few pompano around. The south jetty in Ft Pierce has had a few snook and flounder around on live shrimp around high tide. How to Make a Fishing Sand Spike/Rod Holder for $5!!! Winds are blowing out of the South-Southeast at 14 mph, gusting to 21 and there is a moderate chop on the water. NOAA has issued a small craft advisory through this afternoon. We have overcast skies and we have a chance of showers this morning and a good possibility this afternoon. There are some small waves and there are a few surfers in the water this morning taking advantage. Please use caution when casting. The bite slowed a little but the variety is still there. Black Drum remain the prominent species that have been landed with Snook and Reds close behind. Good sized Jacks are giving anglers a workout. Spanish Mackerel, Blues, Sheepshead, Pompano, Flounder and Trout round out the mixed bag. We have cold front forecasted for Thursday night, hopefully it will invigorate the bite. Our photo today features Michael Sides of Ocoee. Michael fished the north jetty using light tackle when he landed the nice 12 lb. Permit on a gold Gotcha plug. Surf Fishing Workshop Saturday December 10, 2016 from 1:00 - 3:15 pm. This class is designed to introduce anglers to the basics of surf fishing. Meet at the Sebastian Inlet Fishing Museum on the south side of the Park. Call 772-388-2750 for more information. Here it is December already and the Holidays are almost upon us. Where has this year gone? I must say 2016 has been another great year for fishing all along the Treasure Coast. 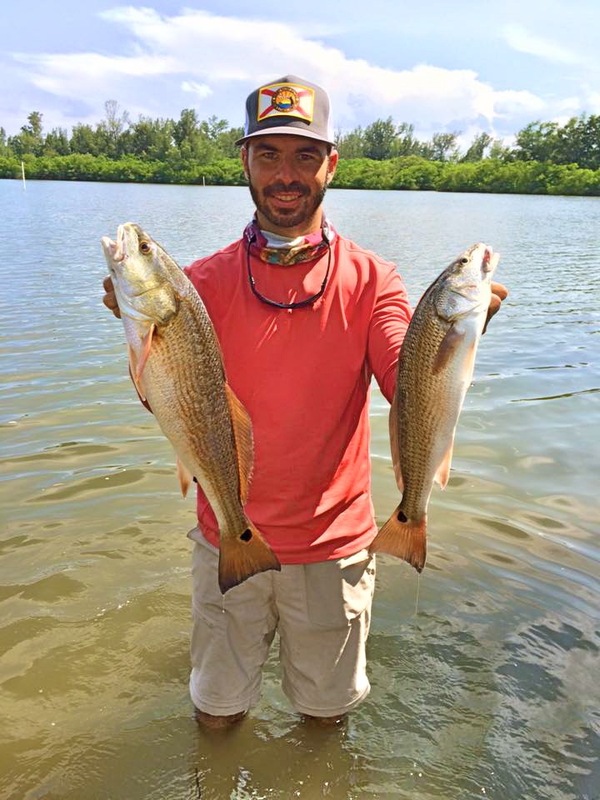 Both inshore and offshore have provided anglers with many great fishing adventures. Hopefully, this winter will be milder and the fishing great for everyone. December brings on the winter months and changes fishing tactics on the river. The water temperatures continue to fall and your fishing must adjust to the weather. Water temps can dictate where you fish and how you fish. Finding water a few degrees warmer than normal can mean the difference in catching and fishing. We will get many days of breezy winds that will hinder getting to some favorite spots out there. That's one of the reasons I love fishing in this area....you can always find somewhere to fish! Not only does the cooler weather affect the fish, it also requires us to dig out the ol' winter fishing clothes. I’m not too proud to get out the long johns on a cold winter day. It can get pretty chilly some mornings! 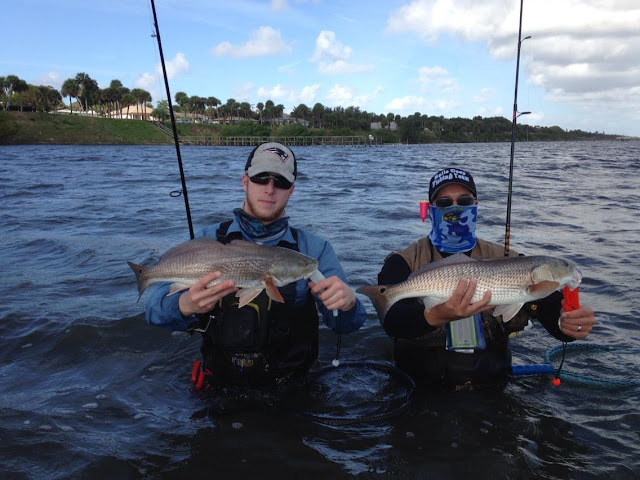 Trout, redfish and snook will be targets throughout the winter. 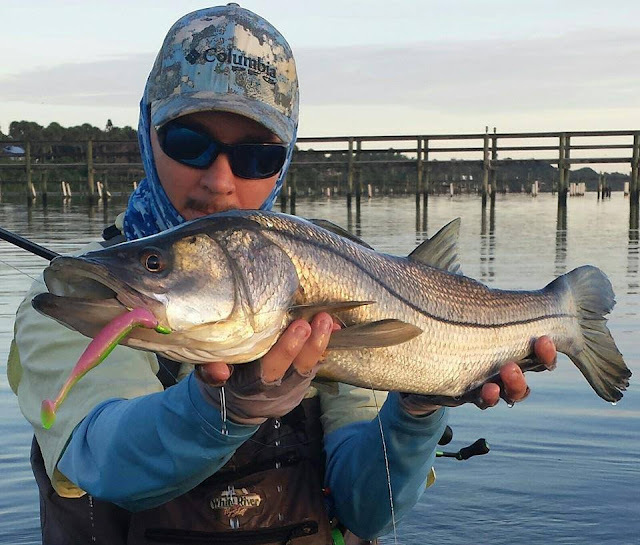 Snook season closes December 15th, but many anglers will still play catch and release with them. Fishing around bridges, docks and inlets can bring great action with snook hanging around the deeper waters of the river. Using live bait, DOA Baitbusters & TerrorEyz, jigs and bomber lures can help you catch one worth a photo opportunity. Trout will tend to hang around the deeper cuts of the river. Move off to three to six feet of water for trout. Live shrimp on popping corks or DOA Deadly Combos will work the best for them. I love to work DOA CAL jerk baits or CAL Air Heads this time of year on the flats. You can also find snook and redfish hanging around those areas as well. Pompano have already arrived in the area and not only provide great fishing action, but fantastic table fare. Spanish mackerel and bluefish will continue to hang out in their favorite haunts of the river. Fish the inlet, turning basin and channels for them. Jack Crevalle will be traveling around in packs chasing bait all over the river. Flounder should arrive soon and hang around the inlets, docks and sandy flats of the river. 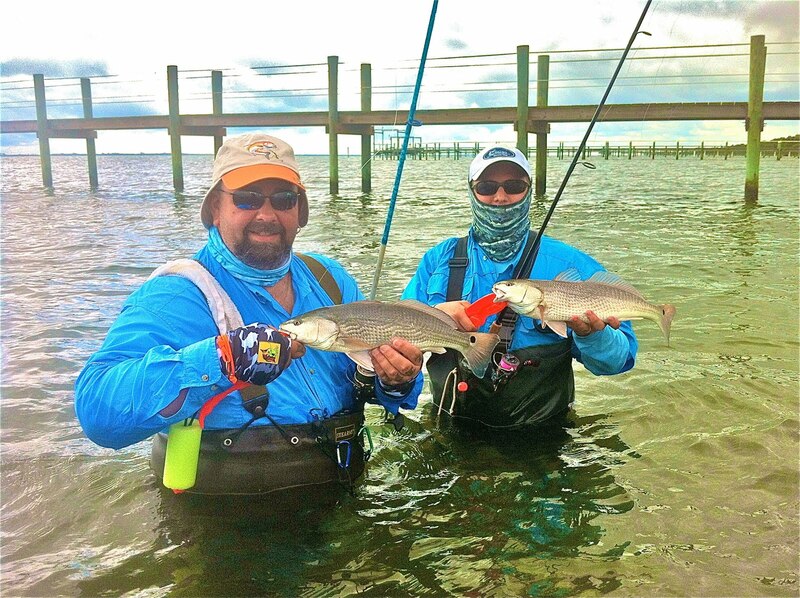 Ladyfish is a great way to spend a few hours with the kids on the water. The bridges will be holding sheephead, black drum, croakers and sand perch for those anglers. Live or dead shrimp is always the best bet from the catwalks. There is a good variety of fish to target on any given day in any kind of weather conditions. Redfish can be found around local docks during the winter months and a live shrimp or DOA Shrimp can entice them into striking. Don't forget about the deeper cuts along the mangroves for redfish and snook in December. Using stealth is essential when fishing the shallow waters for redfish. We had very good success at finding the reds in shallow on sunny days on the grass flats. A mild winter will have them feeding in the shallows this month. It was a fantastic redfish bite all last winter and I am looking for it to be just as good this year. Winter fishing is already here. Change your tactics with the weather and follow the water temperatures more closely to make your fishing more productive. Let’s make 2017 the year that we see improvements to the water quality in our area. If we all do our share to protect our rivers, we can insure the future generations will enjoy the same experiences we have been blessed with. The north jetty is now open approximately 75%. The north jetty is open 24/7 again; please help us maintain this wonderful resource. Do not leave your clam shells on the deck, put them in the water. Pick up after yourself; do not leave litter lying on the deck. Put unwanted bait back into the water. Place your used fishing line in the provided containers, it saves wildlife and helps limit the number of tangled lines. Limit the number of rods to two at a time. DO NOT throw objects at boaters; NO EXCUSES. The western gate is a permanent fixture and can be closed at any time; it will be up the users of the jetty. We have a bit of wind to contend with this afternoon but it is a beautiful day with blue skies, white fluffy clouds, clean water and hungry fish. Winds are blowing out of the North-Northwest at 19 mph, gusting to 23 and there is a moderate chop on the water. Small craft should exercise caution. Always check the NOAA forecast prior to boating as conditions can change very quickly. Fall fishing is underway and there's no place like the Sebastian Inlet to get out and enjoy Mother Nature's bounty. We are seeing a good variety of species being landed all over the State Park, from the jetties and the Indian River. Black Drum remain the most active species but we are seeing Snook, Reds, Spanish Mackerel, Pompano, Sheepshead, a few Flounder and Trout. Get out and make some memories this weekend! Our first photo today features 8 year old Caitlin Uhlhorn of Broomfield, CO. when she landed the 22" Black Drum off her Grandparent's dock on the Sebastian River. Caitlin brought the fish to the dock and her father Steve helped her net the big boy! Rick DiNicola of Miami is featured in our last photo today. Nick came up to fish the inlet and is featured with one of his catches, a large, C/R Red that was released unharmed. 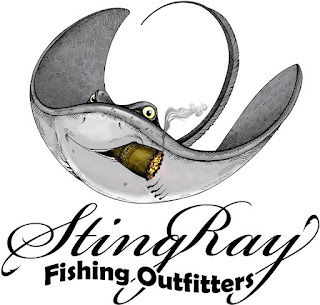 The Sailfish flats have been productive in Stuart with many Pompano and Redfish being caught. Chartreuse Goofy jigs with a pink teaser have worked the best. On the beach a standard Pompano rig with sand fleas will work the best. There have been a few Spanish Macks showing up in pecks lake and around the Stuart area. 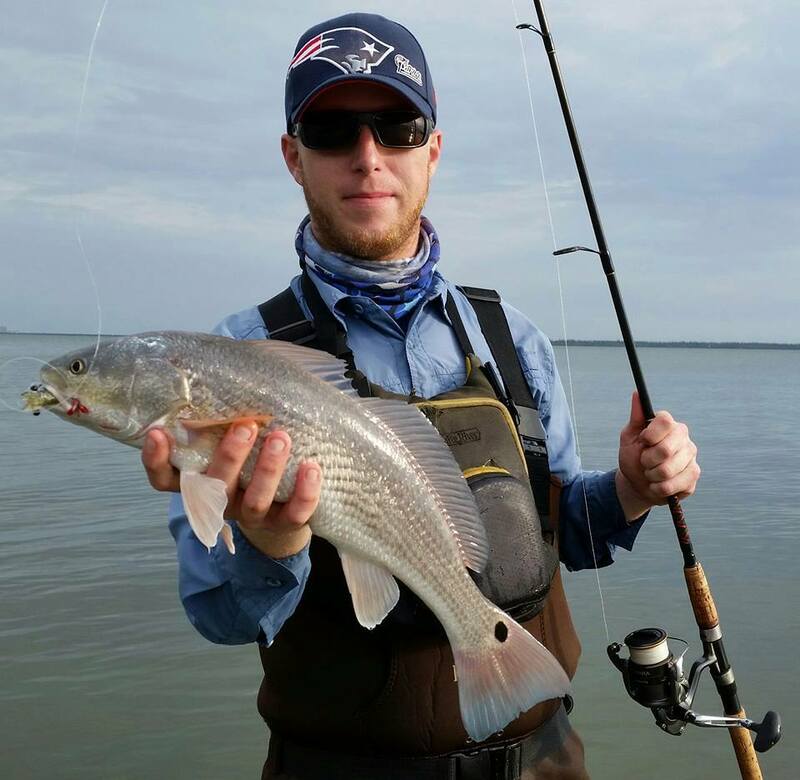 The Trout bite has been steady by Round Island and there have been many Redfish caught on the west side of the river north of Midway. Join us this coming Saturday December 3 starting at 8 AM. Great deals on all Penn and Pure Fishing products. Free braid, Penn shirts and hats, and much more. Let's make a deal on the new Penn reel you always wanted. The surf fishing along the Treasure Coast was great this week. Whiting, croaker, pompano, redfish, big jacks, and even some bluefish and Spanish mackerel were snagged. Throwing spoons has been the best approach due to the wind. The fish are around throughout the day, but the action is best around the higher tide. The east side of the Indian River has been great for catching redfish and flounder this week. Fishing around structure has produced a lot of snook, sheepshead and Spanish mackerel. Try throwing live shrimp on a jig head. Keep in mind that snook season closes at midnight on December 15. The beach of Jupiter were good for catching pompano, Spanish mackerel and bluefish this week. Those fishing the Intracoastal Waterway in and around Jupiter are reporting jacks, ladyfish and bluefish around Marker 42, and plenty of snook in the dock lights at night. Fishing the Intracoastal in central and southern Palm Beach County has been fun this week. Snook are being caught around bridges and dock lights at night, along with black drum. A few Spanish mackerel were caught from the shores of Boynton Beach this week, along with plenty of jacks and ladyfish. 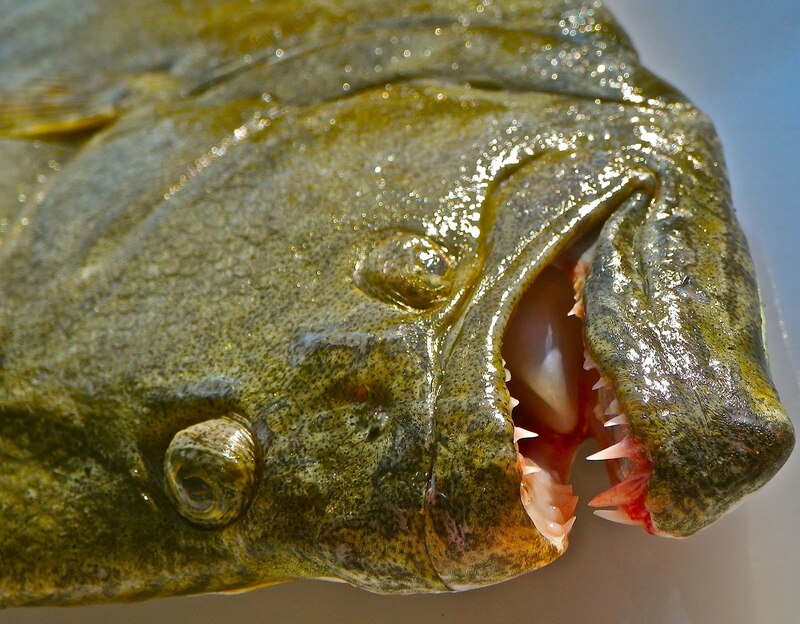 The live-shiner bite has been excellent on Lake Okeechobee, and several large bass have been caught – including a few weighing over 7 pounds. Fishing the outside edges and back in the grass has been best. When the weather cools, the bite lasts throughout the day, but it’s still tough to beat first light and the early-morning hours. Some of the hot spots are Ritta Island, East Wall and West Wall. Anglers are targeting crappie at this time as well. Fishing minnows in rim canals and the main channels seems to be working well.